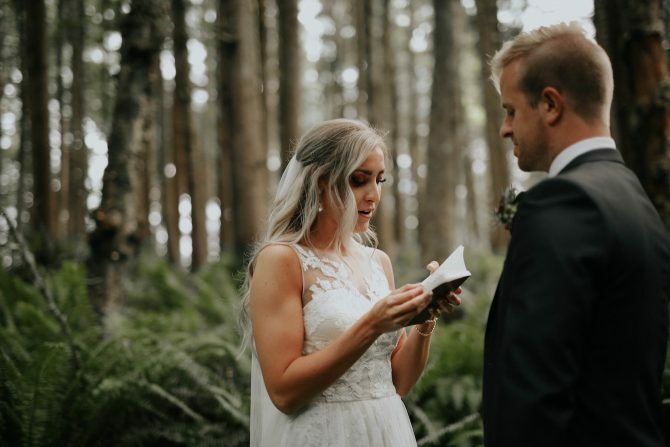 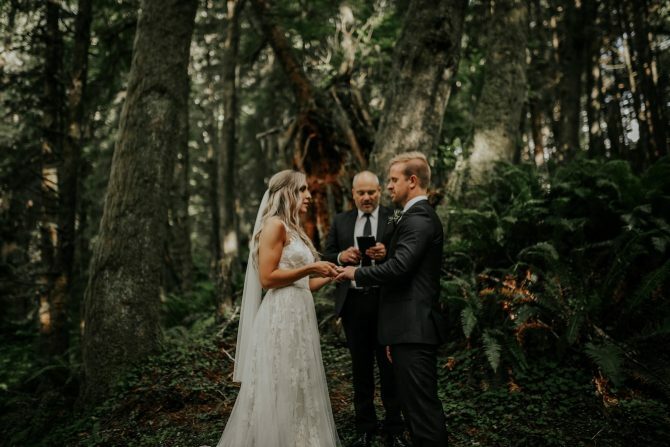 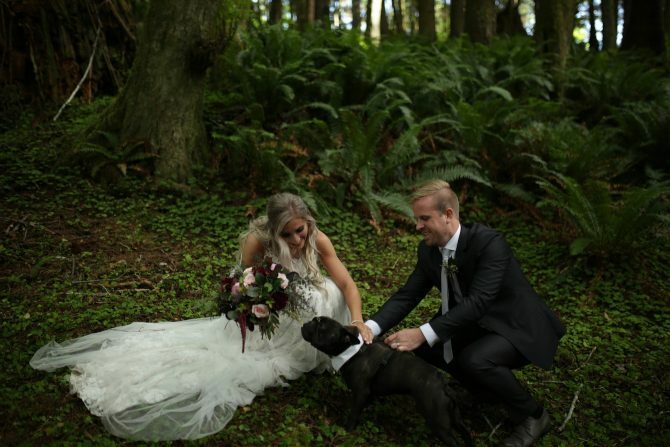 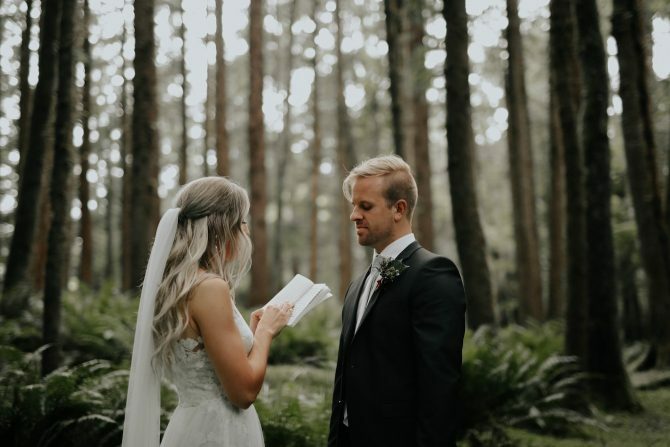 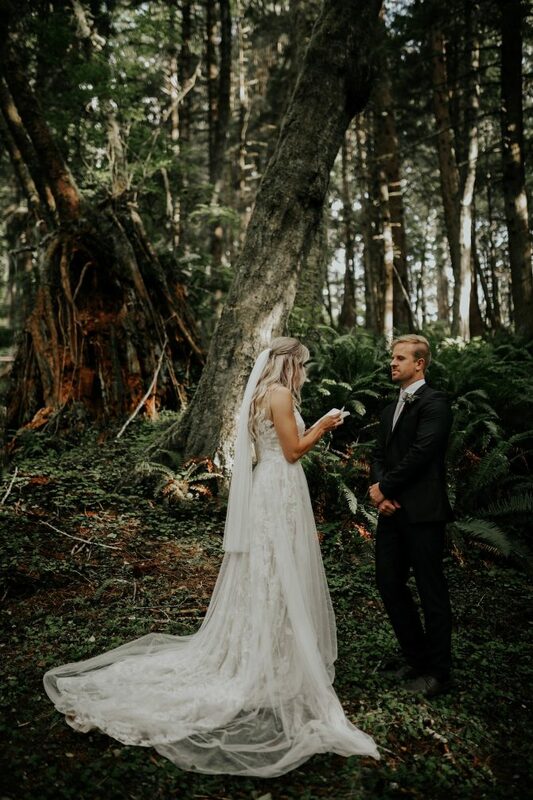 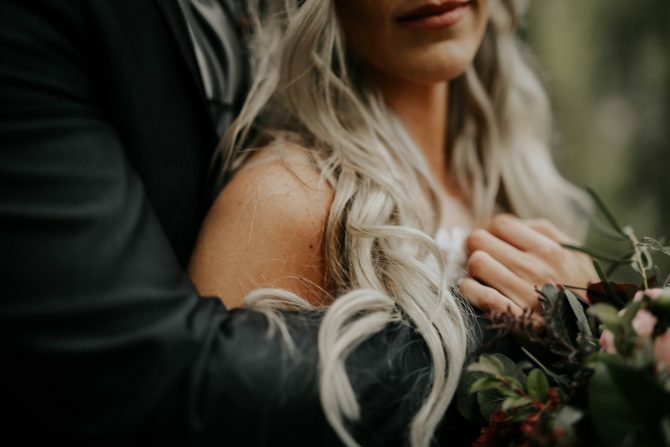 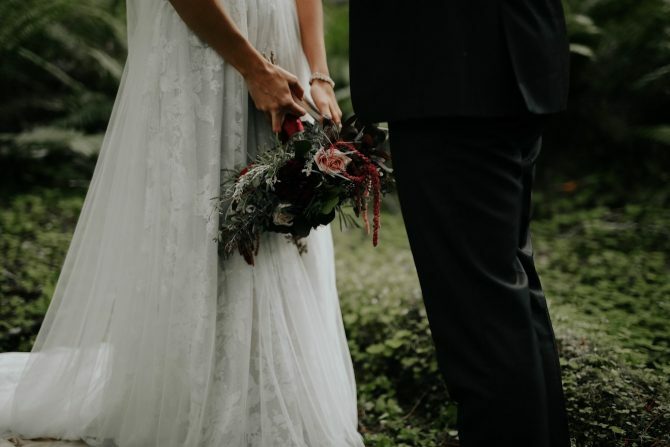 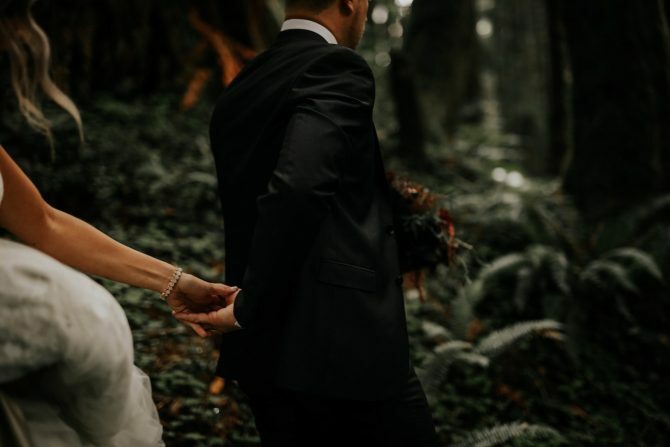 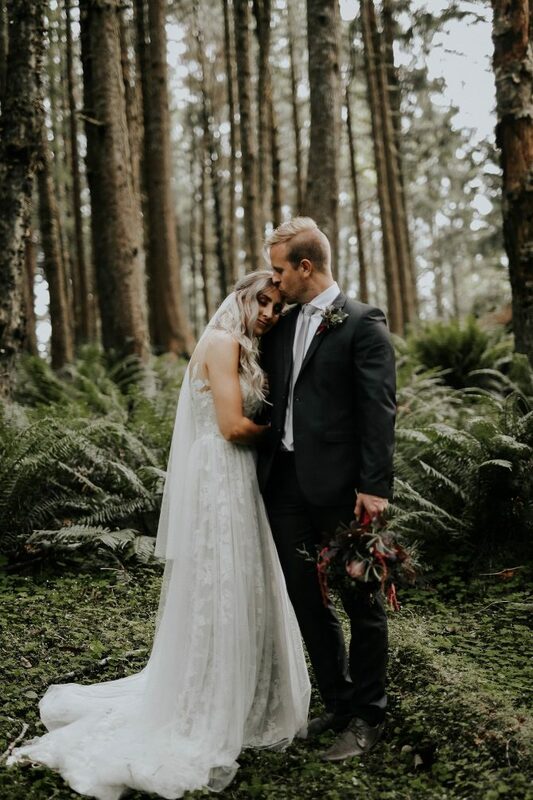 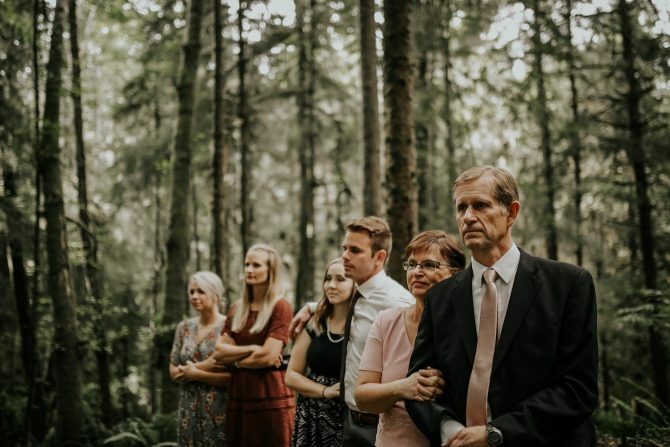 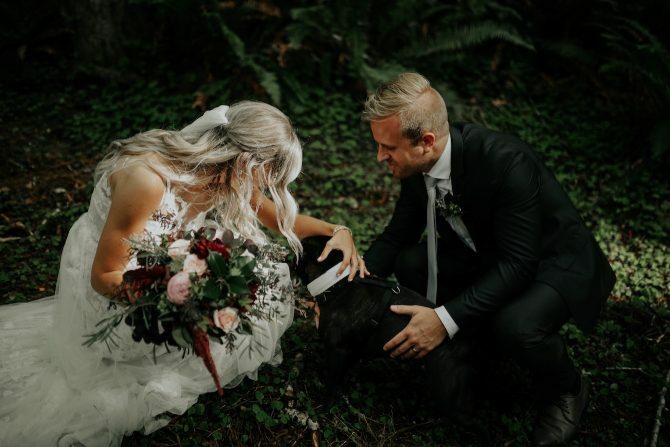 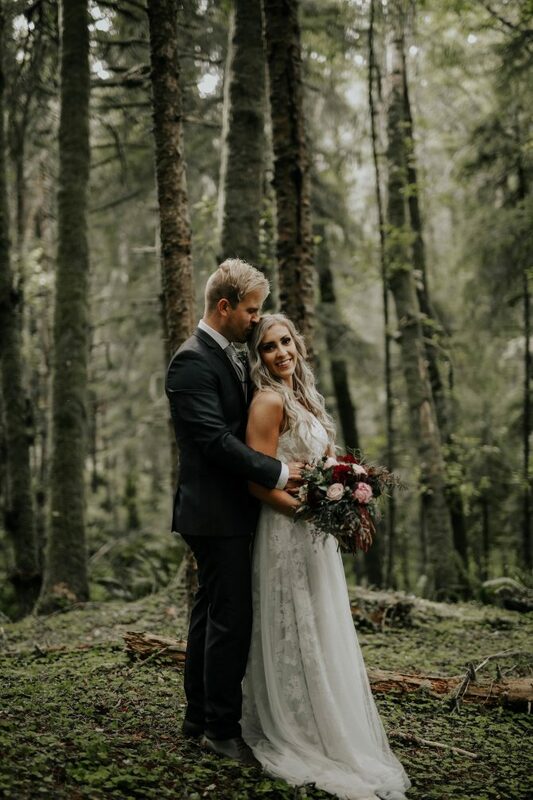 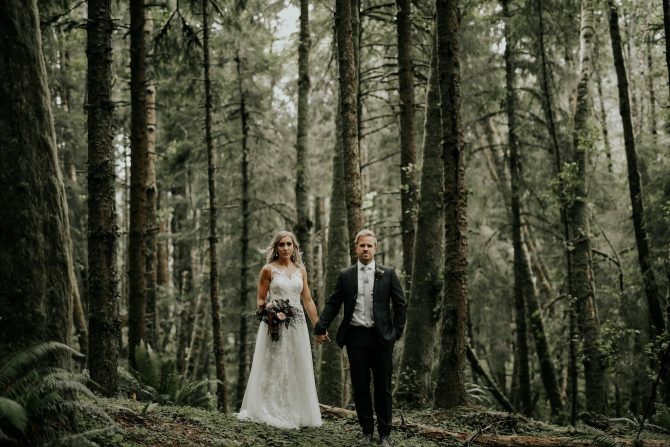 We have fallen in love with this beautiful intimate elopement, nestled in the forest at Ecola State Park, Oregon. 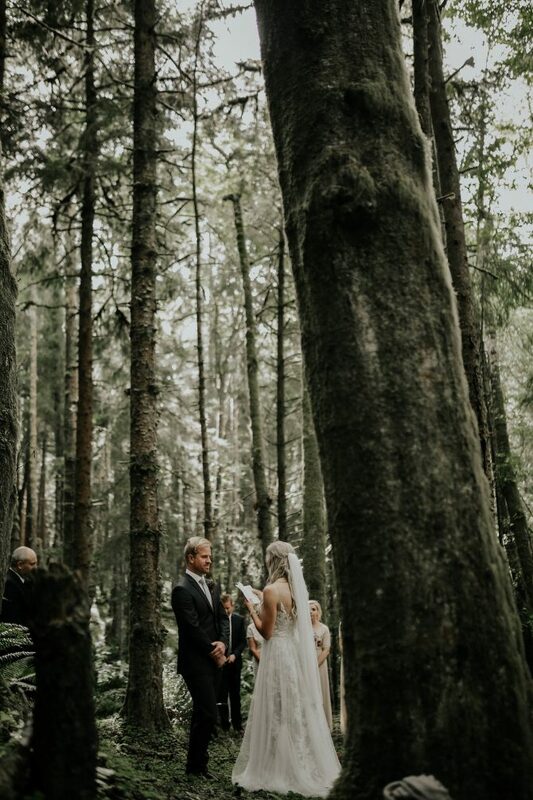 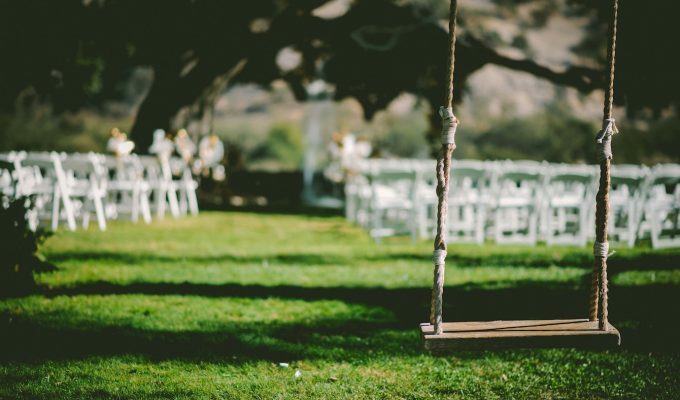 Surrounded by nature, this is the perfect and most unique place for a ceremony. 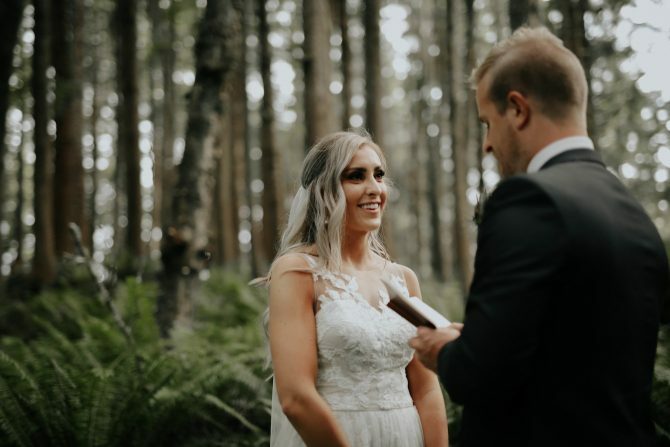 Kensie Webster who photographed this elopement, very kindly shared Janay and Jono’s images and story with us. 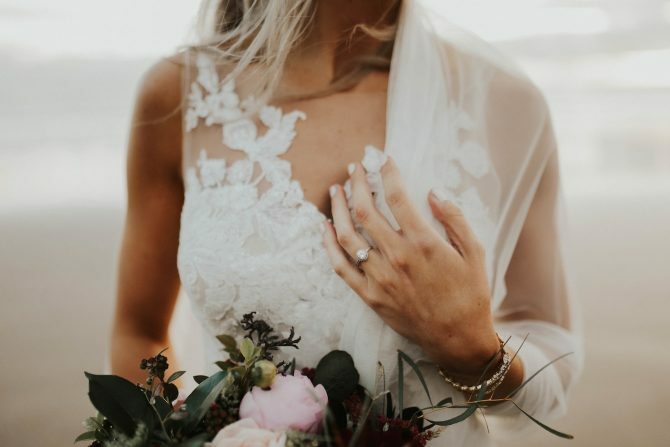 We think you will absolutely love this! 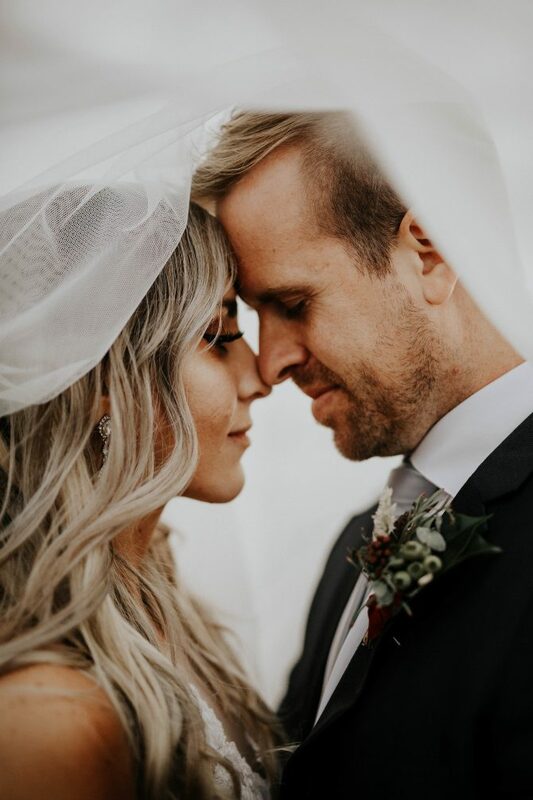 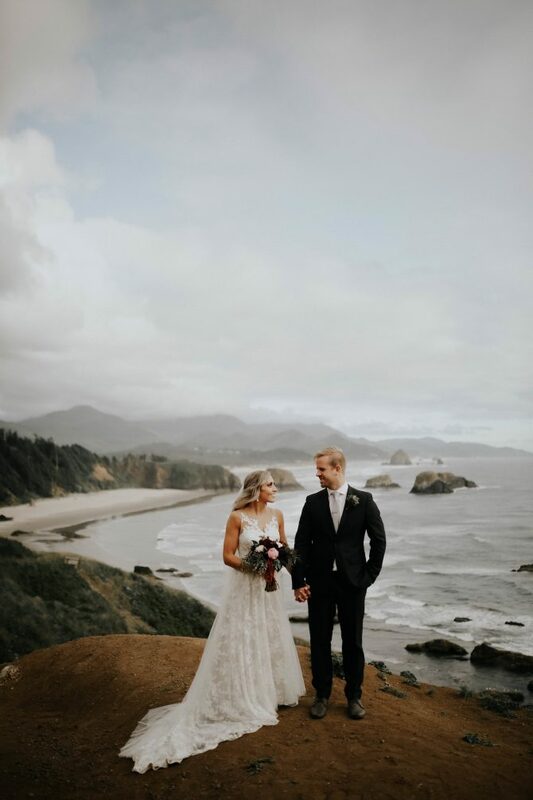 From the photographer, Kensie Webster, “Janay and Jono’s elopement was the most special wedding I have ever had the opportunity to be a part of. 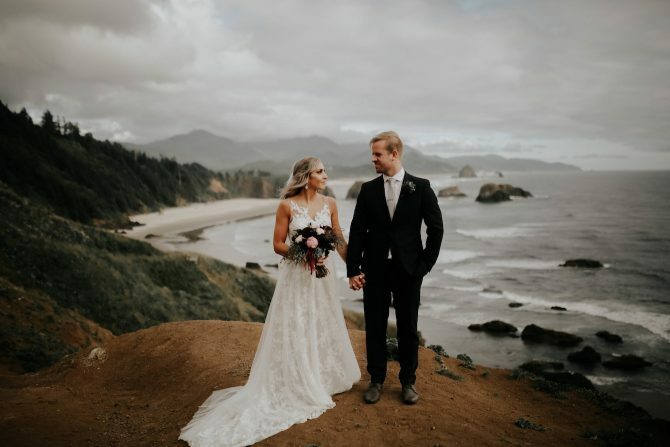 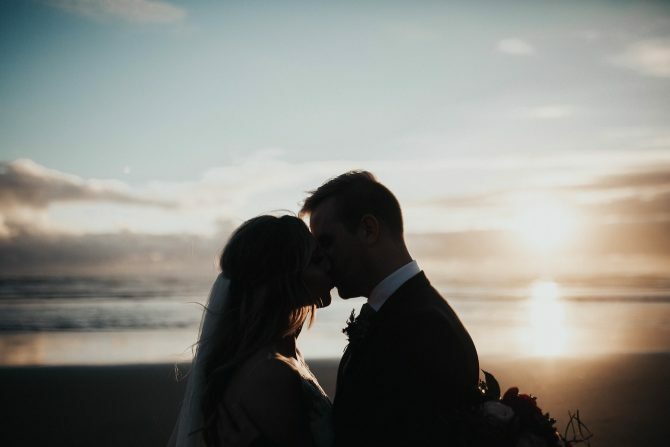 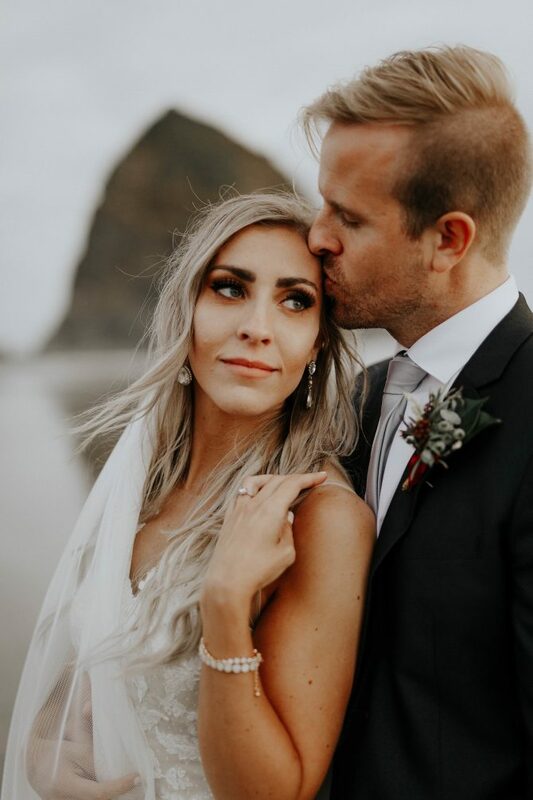 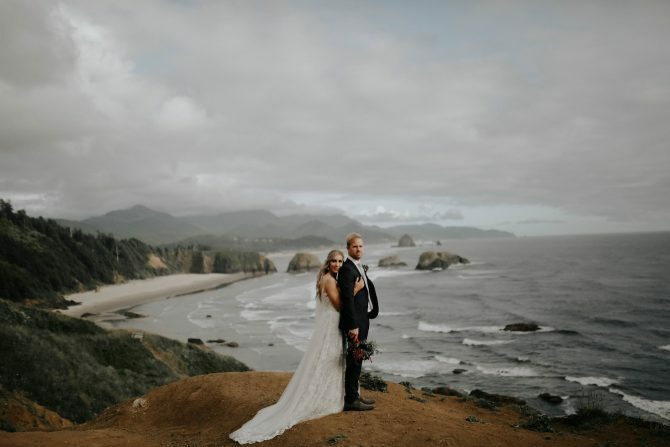 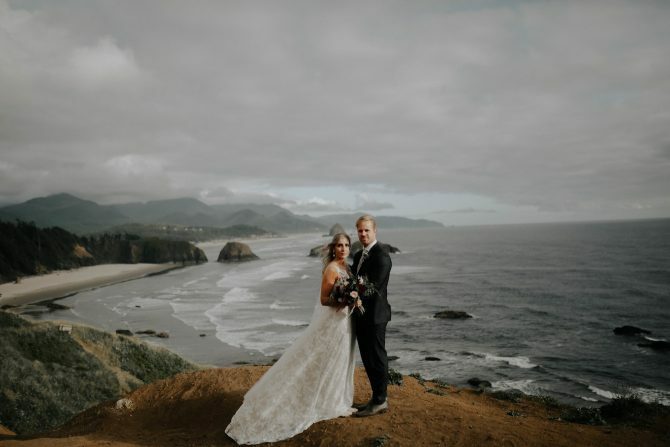 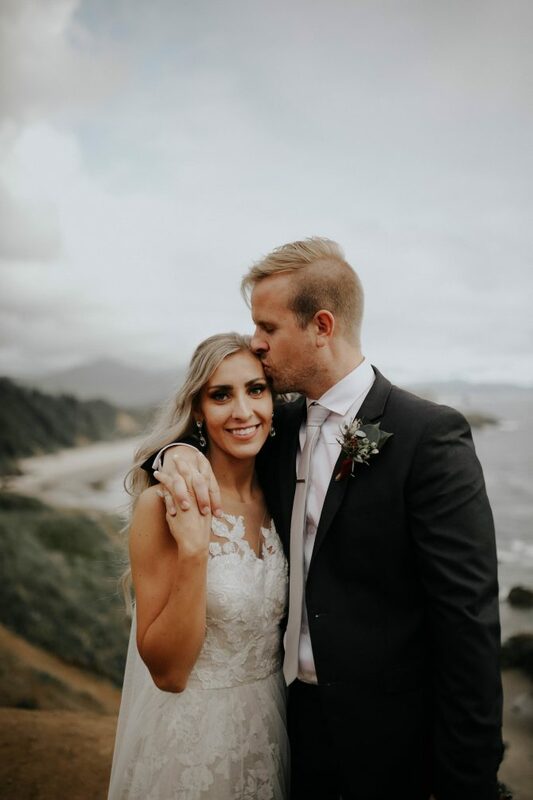 The sun was peeking through the clouds, the fog of the beach was perfectly placed, and their closest family members were patiently watching as Janay + Jono tied the knot in the beautiful forest of Ecola State Park. 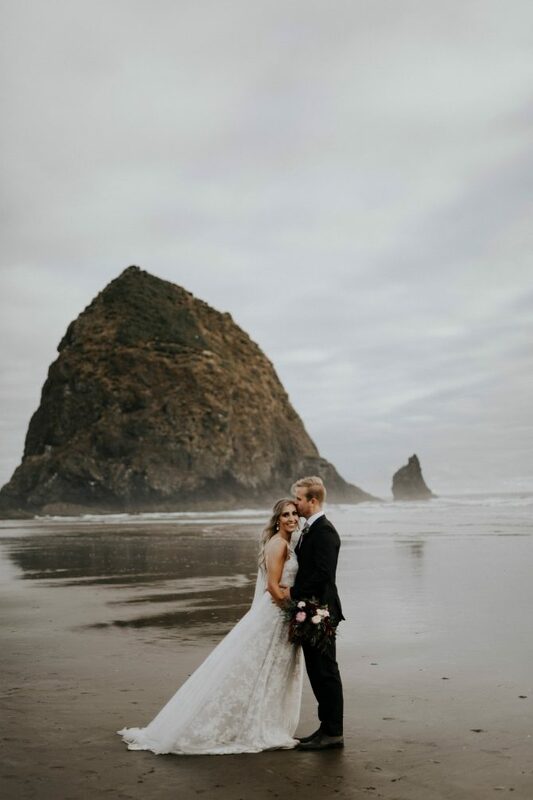 We had just flown in from Edmonton, Alberta, and were eager to finally check Cannon beach off the bucket list. 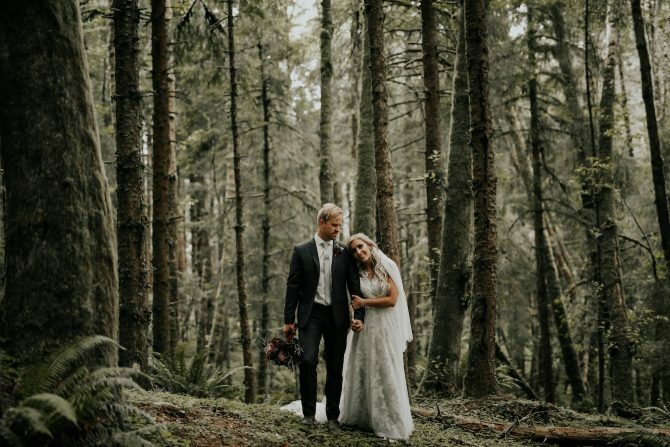 The long windy road to the ceremony was full of anticipation and excitement. 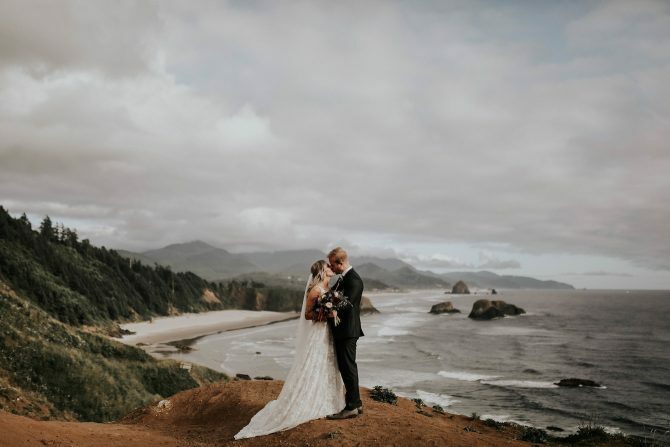 With the music blaring, the windows down, and the sun soaking through the windshield, my husband and I giggled with excitement as we locked fingers and stared out at the beauty of the Oregon coast. 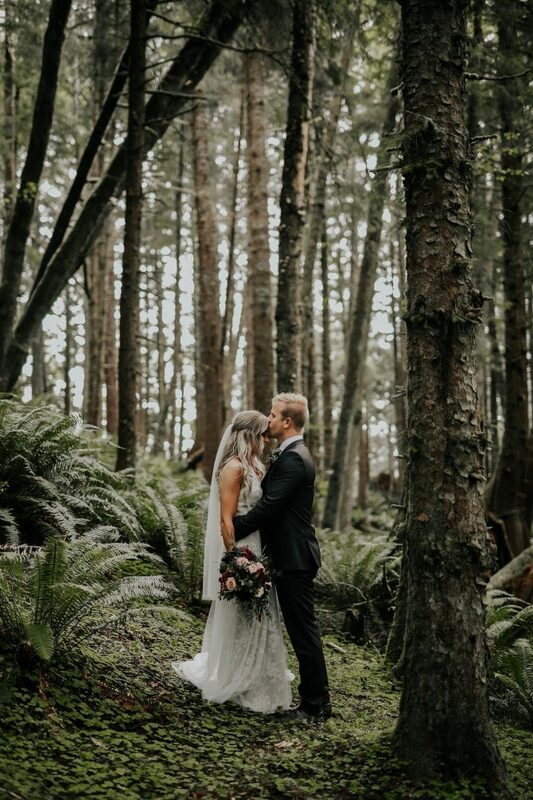 We pulled up to the state park window, bought our ticket, and entered the gorgeous and windy road through the dark green tree’s. 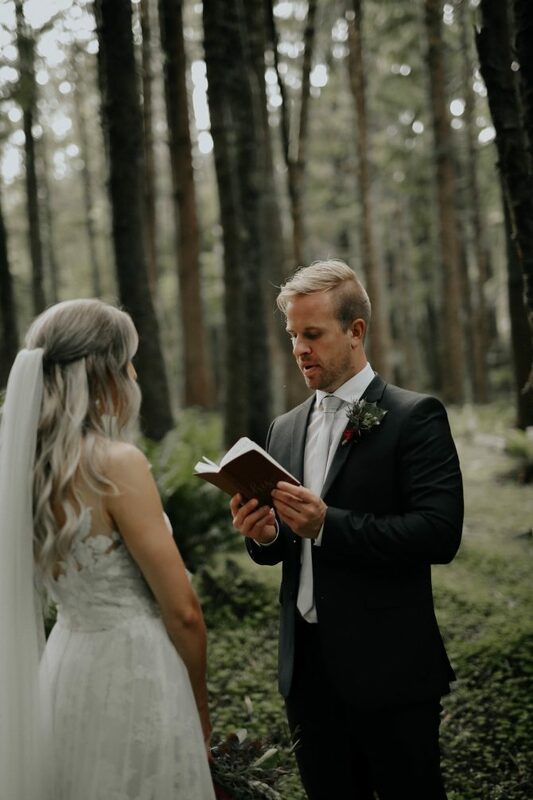 Eventually, we found Jono, who was patiently and eagerly scouting out the perfect location to marry his bride. 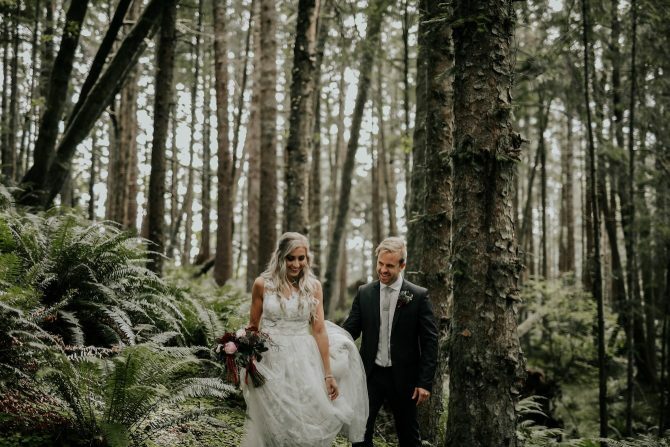 We gathered up our gear and headed towards the trail that Jono had perfectly set out for Janay. 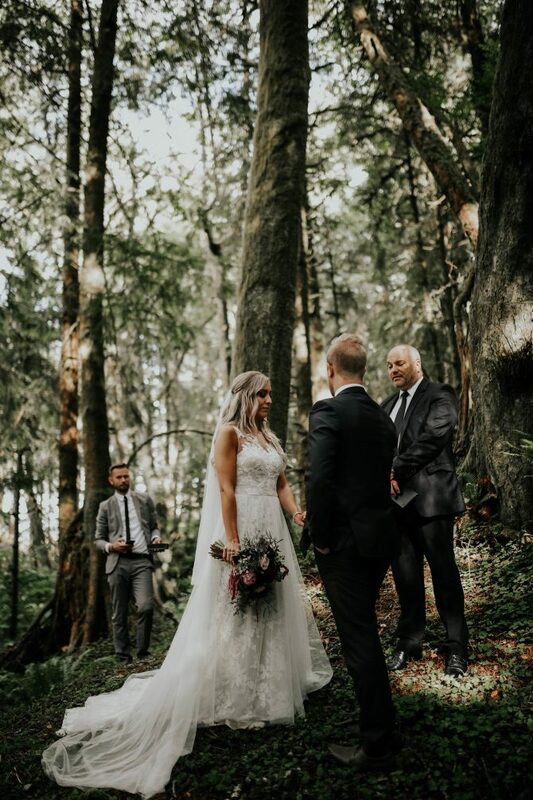 We set Jono up, positioned away from where Janay would enter, and waited for Janay to finally see her future husband all dolled up. 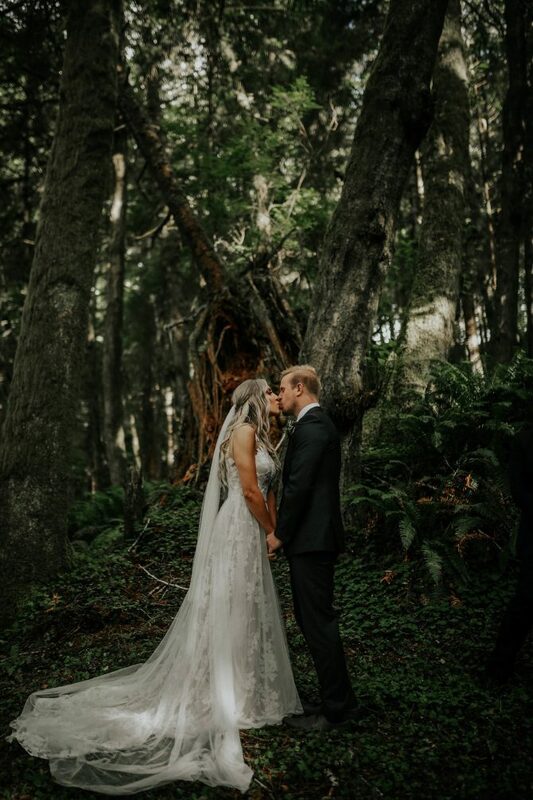 Their first look was beautiful. 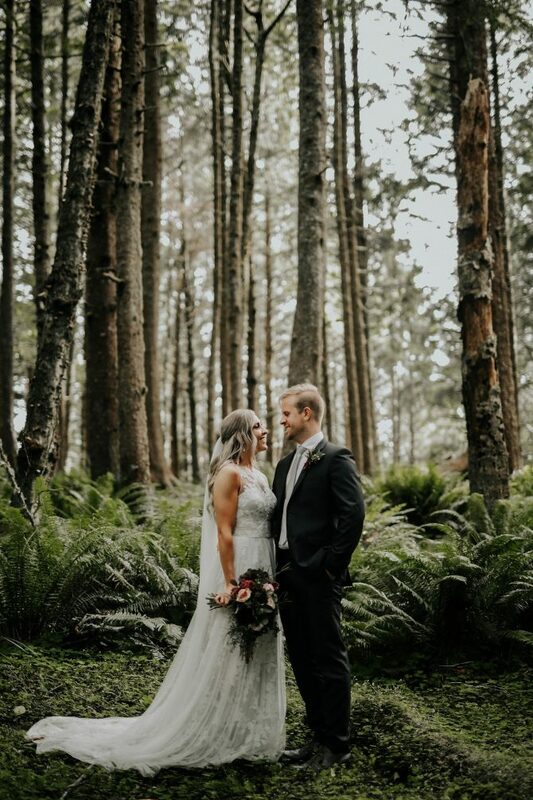 Janay and Jono shared their excitement, and love for the day in the peace and quiet of the Ecola state park forest. 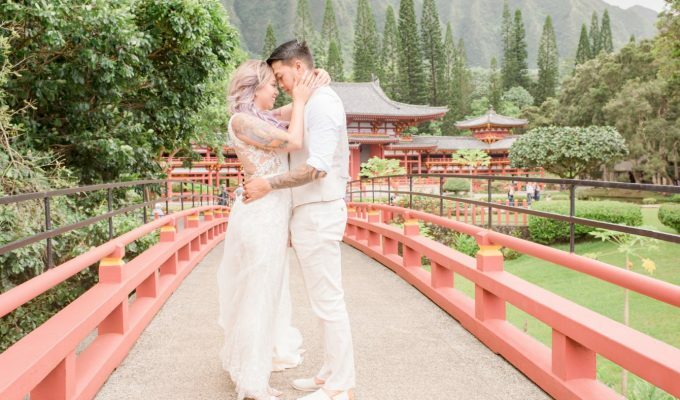 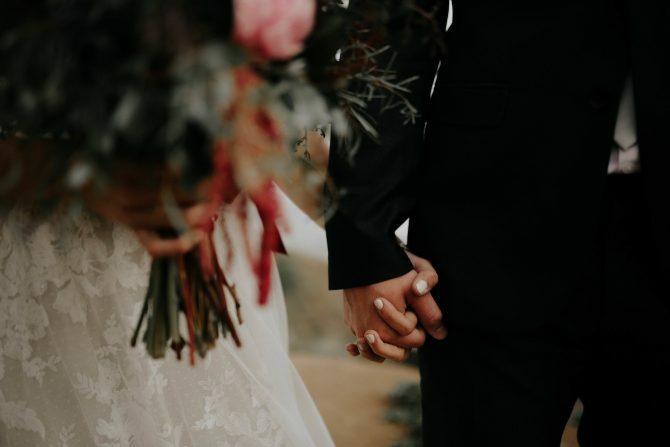 As the time went on, they shared their vows, kissed, and prepared to enter the ceremony with their close family nearby.